In one of my books of H.P. Lovecraft’s stories, (The Tomb and Other Tales, Ballantine edition, 1970) there is a chronological list of HPL’s works, with check marks by the ones I had read. Notably unmarked is “Herbert West, Reanimator,” written in 1921-1922. It was published in a magazine called Home Brew as a series of six horror stories. In his biography of HPL, L. Sprague De Camp refers to them as “perhaps the most forgettable ” of all Lovecraft’s stories. Despite this dismissal, I was delighted finally to run across them in 1998. While it’s true that Herbert West exemplifies some of HPL’s faults as a writer, notably overuse of adjectives such as “hideous” and a coarseness of plotting, I found the story intriguing. It struck me as an outline for something bigger. The two main characters, Herbert West and the nameless narrator, begged (in my mind at least) to be fleshed out. Why would anyone want to reanimate corpses? Why would anyone remain a close friend of someone who was always looking for really fresh corpses to reanimate, even to the point of creating them by means of murder? This is the question about any “mad scientist.” Is he evil or merely mad? Is his friend stupid and credulous or simply loyal? In the fall of 2000, two years after I read Lovecraft’s story, I began to answer these questions about Herbert West. I ended up several years later with a hefty trilogy. 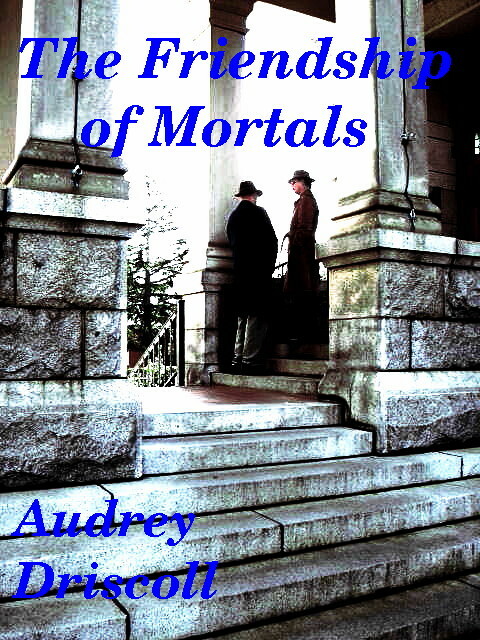 of which I am about to publish the first book, The Friendship of Mortals, as an ebook. By the time I post here again, it should be available on Smashwords.com, technology permitting.